Nowadays, China has gradually become an important market for the coffee industry. 75.3% of consumption to coffee consumption is concentrated from people aged 20 to 35. In 2017, the 80s and 90s broke through the 400 million marks and became the main force of coffee consumption. So we will see how capturing the young generation is becoming more significant for coffee brands. Anyone who knows a little about this brand knows that Starbucks has always been demanding not only towards the quality of the coffee or the well-prepared food but also concerning the elegant in-store environment. An environment of peace and tranquility is sought and this is what consumers are willing to pay. “Unlike the fast-paced lifestyle in the US, who can’t cope without a morning cup of joy, most Chinese consumers don’t just grab and go. Instead, coffee shops are a destination. They sit down and chat with friends and family”. On the other hand, considering the rise of social media in China, Starbucks has found that Chinese young people are willing to spend more time on social media to share their lives with friends and family. Therefore, the pleasure of sharing has become the key communication message that Starbucks wants to engage with them. In February 2017, Starbucks China had launched SAY IT WITH STARBUCKS social communication platform. 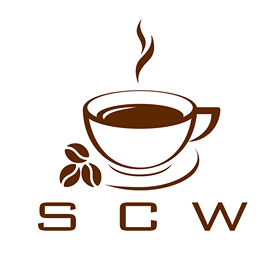 The WeChat users can send a cup of coffee to the social gift platform of “Say it with Starbucks”. The friend just scans the code to get the coffee in the store based on the WeChat card. This Gift Card is not only delicious but also because of the spiritual core that the brand has always adhered to – long-term commitment to community building and interpersonal relationship, allowing consumers to accept and recognize its emotional value from the heart, and this far exceeds the label price of a cup of coffee. In the meantime, Starbucks keeps focusing on the pleasure of sharing on a social platform. At the end of 2017, it had launched the emoji package on WeChat as well, which was created by the artist Mario. The main idea is to express in a more “star” way and connect with each other. The Starbucks classic coffee cup is the absolute protagonist of this time. What’s even more surprising is that the Starbucks Bear, which only appeared during the holiday season, has also joined the sale. With continuous communication on the pleasure of sharing, Starbucks has successfully deepened its emotional value in the hearts of young Chinese consumers, more sharing, more pleasure, more Starbucks. As a world-renowned coffee manufacturer, Nescafe has a history and heritage of hundreds of years. Consumers in the Chinese market are no strangers to this brand. As early as 1908, Nescafe opened its first sales office in China in Shanghai. For more than a century, Nescafe has long been a classic brand in people’s minds. However, a long history is a double-edged sword, which means there may be a risk of brand aging. As the new generation of the Internet becomes the backbone of the market, their unique consumer demand and consumption patterns are becoming the focus of major brands. For example, seek freshness, personalization, and entertainment. In order to capture this group of people, Nescafe tries to build a young lifestyle around the young consumer. They had launched the Flash Mob Platform (Flash Mob is an emerging way that young people are more likely to accept. One of the ways to combine flash and business is the flash shop.) in more than 50 cities around the world. In September 2017, Nescafe was officially opened at the “Feeling CAFE” Flash Mob in Beijing. Unlike other countries, China Flash Store takes into account the preferences of young Chinese consumers. In the Flash Mob in Beijing, the attractions are not only coffee but also a variety of “feelings”. The five art spaces with the theme of “feeling” designed by the famous Japanese space design master Aoyama Zhou Ping. Here, consumers can experience the taste with limited edition special coffee, while awakening the perception of the self and the surrounding world in the five senses space. The five unique experience spaces of “Feeling CAFE” vividly interpret the new concept of “Five Senses” brought by “Nescafe”. For example: immerse yourself in the exclusive space to find the long-lost “self-perception”, experience the “freshness” brought by VR technology on the “wave hill”, and experience a kind of peeping “security” in the wall cave. In the co-creation of strangers, people feel the sense of belonging, and when people pick up the “box”, they feel the “sense of achievement” that reaches the peak. Different from the over-emphasis on products in the past, Nescafe is now paying more and more attention to young audiences, using modern and young communication strategy to create a lifestyle that belongs to Nescafe, activating consumers’ inner feelings and connecting with beautiful things. In order to be closer with young consumer, the coffee brands are trying to be friend with them now.